To celebrate 10 years of trading, we are giving away a prize a day throughout September in our #HD30Days30Prizes campaign. The month-long giveaway includes a huge selection of gardening goodies, from bird-friendly feeding stations to hedge trimmers that will help keep your Beech looking its best. 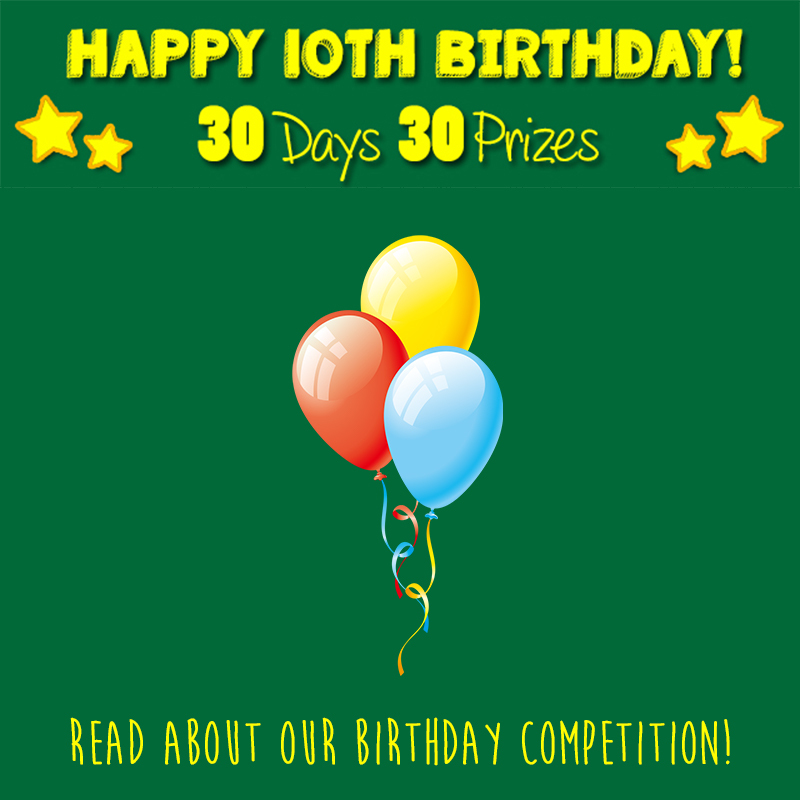 You can enter daily for your chance to win one of these fantastic prizes and help us celebrate our 10th Birthday! Each prize draw will run for 24 hours on the individual day stated and the competition closes on Wednesday 30th September. Winners will be announced on Thursday 1st October. The winners will be chosen at random and announced on our Facebook page. 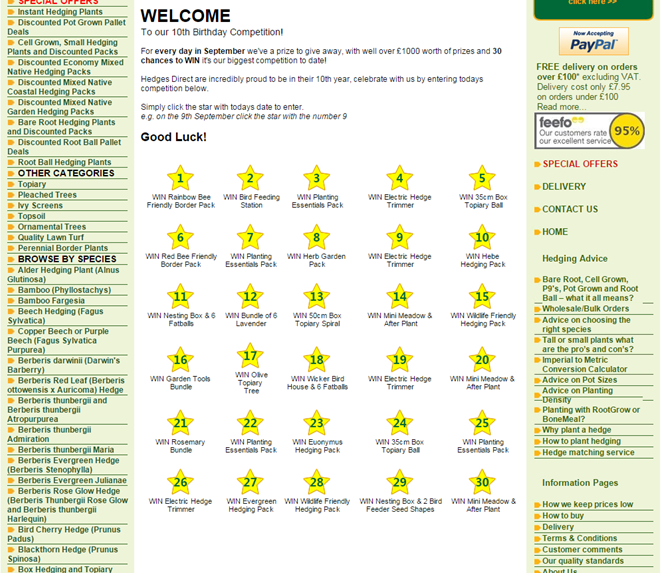 Let us know you’ve entered @HedgesDirect using the hashtag #HD30Days30Prizes. Stay tuned throughout September to see how else we’ll be celebrating and don’t forget to wish us Happy Birthday!